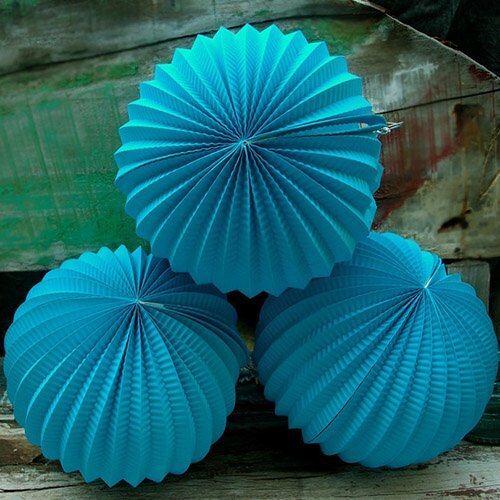 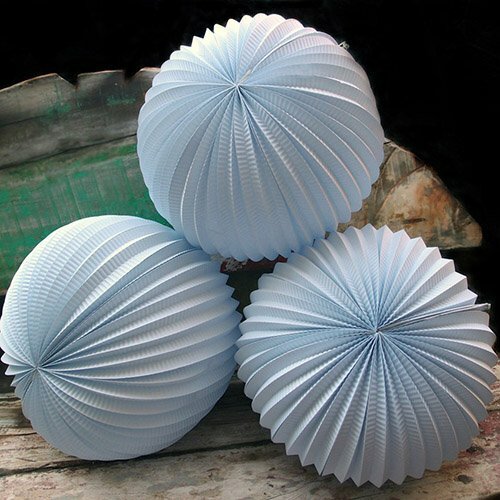 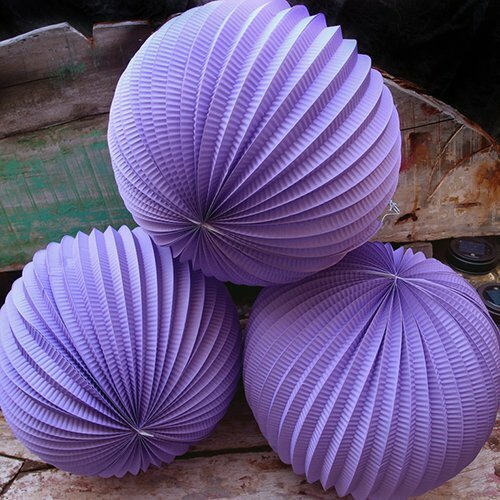 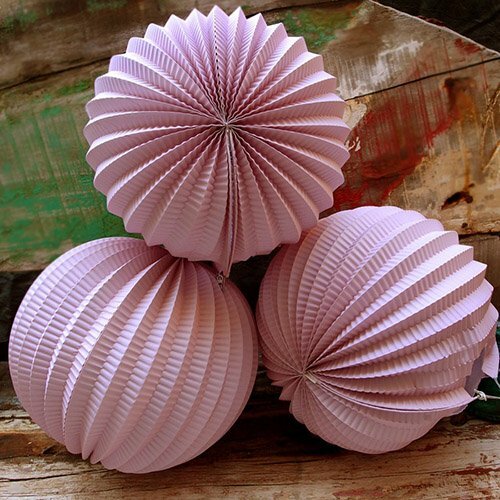 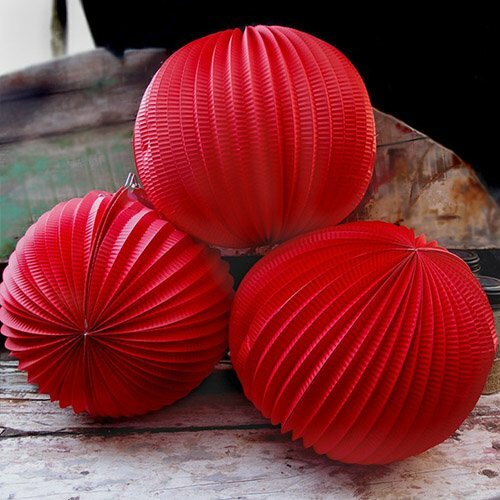 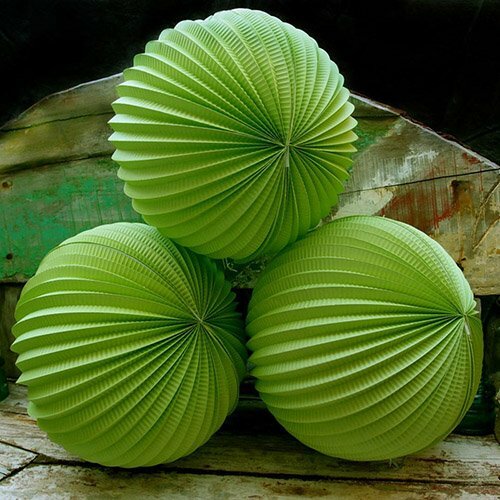 Have a ball with any type of themed baby shower thanks to these accordion paper lanterns. 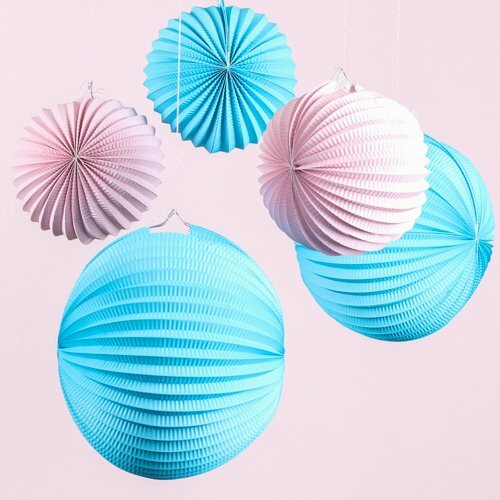 Available in your choice of sizing and color combinations, these 3-dimensional accessories are easy to assemble and pretty when hung up with ribbon, fishing line, or string. 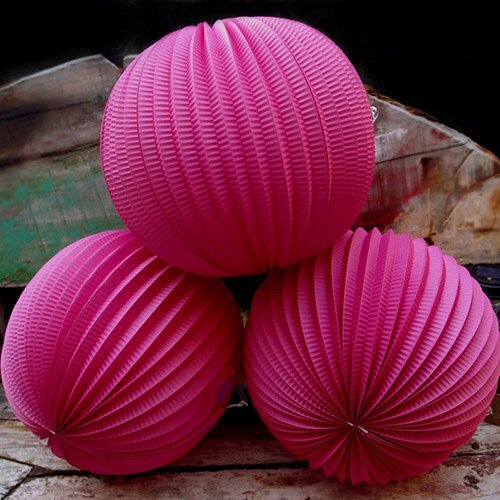 Try mixing and matching colors and sizes for a fun and dynamic look!